Winning a Grand Slam title is the biggest challenge in the world of tennis. It is the ultimate test of patience, grit and mental strength, and that too in the toughest of situations. Every player dreams of adding a Grand Slam title to their trophy cabinet and etch their name in the history books. Winning a Slam is no mean feat at any stage in one's career, although we have seen the likes of Roger Federer, Rafael Nadal and Serena Williams defy several odds over the years to win numerous Major titles in tennis. Quite recently, Japanese youngster Naomi Osaka became a household name with a famous win over her idol Serena Williams at the US Open, becoming a Grand Slam champion at just 20 years of age. She then backed up that performance with the 2019 Australian Open title. 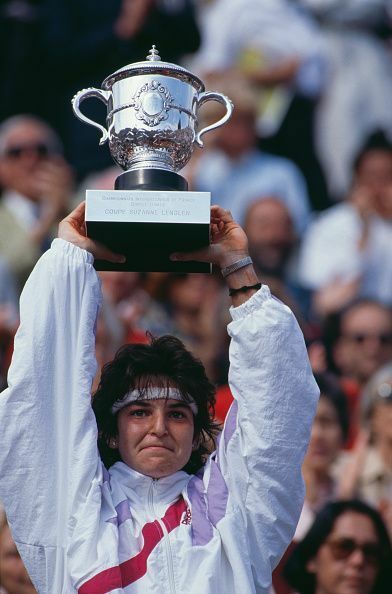 In this article, we take a look at five other champions in the women's game (Open Era) who made history at a very early age. Nicknamed the 'Barcelona Bumblebee' for her relentless pursuit of the ball, Arantxa Sanchez Vicario raised many eyebrows as she beat the great Steffi Graf to win her first Major title at the 1989 French Open, aged just 17. One of the very few players to taste success in both the singles and doubles, Sanchez Vicario amassed four singles, six doubles and four mixed doubles Grand Slam titles in an illustrious career. She represented Spain at as many as five Olympics and won four medals, earning a silver and bronze each in both the singles and doubles categories. Sanchez Vicario earned a reputation as one of the most decorated Spanish athletes and was also inducted into the International Tennis Hall of Fame in 2007. She continued to inspire the next generation of female players after retirement as well, as she coached Danish tennis star Caroline Wozniacki in 2015.